Welcome to the Year 2 Homepage! Here you will find out everything you need to know about what Year 2 are getting up to in school. Mrs Holmes and I hope you have had a wonderful, restful break and are ready to continue our adventure in Year 2! Please use the tabs above to find out what your child is learning about in English and Maths and for some educational games. In our topic lessons, we are going to be developing our understanding of plants. We will be focusing on learning about how plants and trees grow by planting seeds, creating observational drawings and tasting edible plants. In our SRE lessons this term, we will be discussing the differences between female and male animals and humans and naming body parts using scientific vocabulary. Year 2 have requested the following game to be put onto the school website so that they can continue to use it at home. Please scroll down to the bottom of this page to watch our video of 'The Sound Collector' by Roger McGough. Sam for his focus and attention in his lessons this week. Jack W for his respect and politeness to everyone. Elliott for his effort in improving his handwriting. Every Friday morning children will have the opportunity to enter themselves into the Reading Raffle if they have read at home 5, 6 or 7 days during the week. Please make a record in their reading diary once they have read at home. This could be their school book, a library book, a book from home, leaflet, magazine or comic. All children entered into the Reading Raffle will recieve at least a sticker on their chart. 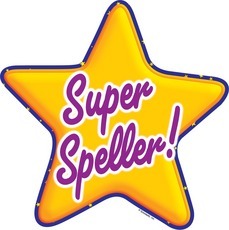 Star Spellers are pupils who recieve 9/10 or 10/10 in their spelling test. As a class, we have created a list of ideas of what can be brought in for Show and Tell on a Friday.